Although Haddonfield Horror is horror film related site, we must put emphasis on the word, 'horror' and be prepared to walk into any dark territory in which it inhabits, to which, video games are absolutely no exception, delivering a level of interactivity you cannot experience through the format of cinema. Horror has appeared in video games for decades now, but I won't go into a huge long history lesson about that, there are other articles out there and wikipedia articles which I'm sure could go into more depth than I could on the historical aspect of what is known as the 'Survival Horror' genre. The aim of 'Survival Horror' is to simply survive with the little supplies and dangerous odds that the game throws at you. This has now sadly changed to action-horror, focusing on set pieces and mowing down legions of enemies rather than tension, suspense and most importantly, survival. Although 'Resident Evil' (1996) (also known as 'Biohazard' in its home nation of Japan) gave birth to what is known as 'Survival Horror', it focused on jump scares and intimidating enemies. In 1999, three short years after the birth of 'Survival Horror', it was already redefined by another title that focused on the psychological and cinematic aspects of the genre, the video game publisher Konami's response to Resident Evil. This game was of course 'Silent Hill', developed by Team Silent, which in itself has turned into a franchise, spawning various sequels, film adaptations, comic books and other merchandise. 'Screaming In Silence' will explore the first four entries into Silent Hill series, before I personally felt that it lost its touch since moving to a Western developer and devolving into what was aforementioned as 'action horror'. 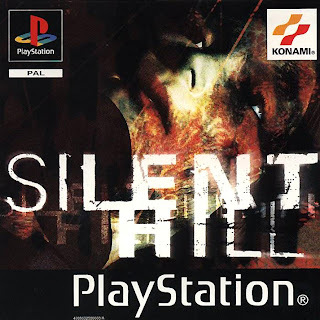 It was also after 'Silent Hill 4: The Room' (2004) that Team Silent disbanded, leaving the series in the hands of other developers. Although the new entries do have redeemable qualities to them, they are to the series what Resident Evil 4 is to that series, very disconnected and almost unrecognisable apart from the title. An exploration of the rest of the Silent Hill series may come to light after this initial series of articles, but I personally only found the recent title 'Silent Hill: Downpour' (2012) to be worthy of the Silent Hill name compared to its recent brethren. Anyway, moving on. Silent Hill. I will warn you now that this article will contain some spoilers for the plot of the game, however, this is absolutely in no way a detriment to the horror experience of the game, if anything, the horror is intensified through the knowledge of the plot because what the Silent Hill series is infamous for is the incredible amount of detail and subtext that goes into everything from the locations to the enemy design. I will simply go into the back story of the plot, not as it progresses throughout the game. The town of Silent Hill has always been a place of immense spiritual power, being deemed as as a sacred place by the original inhabitants of the land before settlers turned it into a quaint resort town. Throughout the years various events slowly began to corrupt this spiritual power to a breaking point until the year 1983, where something so horrible took place, that it set into motion the nightmarish world we identify with Silent Hill now. Alessa Gillespie found at a young age that she was different from other girls. She was bullied and branded a witch due to her telekinetic and powerful psychic abilities, an obvious inspiration from 'Carrie' to which I'm sure most of you would have noticed by now. Her mother, Dahlia Gillespie was one of the leaders of the religious cults that secretly controlled drug trafficking within Silent Hill known as 'The Order'. Although they would dabble in illegal acts on the side, their main purpose was not profit, at least to most of the members, the main goal of the cult is to birth their god. When it is seen that Alessa Gillespie has powers, how mother has an idea, to use her daughter as the incubator for this god. Something that you would already deem as monstrous, but wait, it gets worse. Alessa is impregnated through a ritual by the cult but her heightened stress causes the boiler of the Gillespie home to burst and erupt into the flames, consuming the home into a burning inferno. Dahlia escaped, leaving Alessa to burn alive inside and suffer a fate worse than death. Alessa was soon taken to Alchemilla Hospital and treated in a secret ward ran by the cult and overseen by the director of hospital staff, Michael Kauffman, an associate of 'The Order'. Although he was mostly in it for the money the hallucinative drug PTV, derived from a local plant known as 'White Claudia' (a reoccurring name in some entries of the series). One nurse, Lisa Garland, was a particular member of his staff who was charged with caring for Alessa, causing her great mental distress at the suffering and seeming reluctance to die of the Gillespie child, despite her unimaginable pain. Her voice was silenced and her free will restricted by her addiction to the PTV drug which Kauffman kept supplying to her in return for her continuous nursing of the Gillespie child, much to her anguish. From the pain and suffering of her child, Dahlia Gillespie intended to impregnate Alessa with the cults god which she had successfully done. Being nourished with nothing but agony, the foetus was being injected with hatred and evil, to fulfil the prophecy of causing judgement day. Alessa was kept from dying through this 'god' which used her as an incubator. I know... Dahlia's a strong candidate for mother of the year, eh? However, Alessa managed to delay the birth of the god from happening by using the last of her strength to split her soul into two, creating a newborn child which she sent away from the reaches of the cult. The child was found by Harry Mason and his wife, who adopted her and called her Cheryl. From 1976 to 1983, Alessa lay trapped in this condition. Seven years later (1983), Harry's wife is now dead and he, the lone carer for Cheryl. Both of them decide to go on a vacation of Cheryl's choosing, to which she decides to go to Silent Hill, almost as if she is being summoned. Upon nearing the town on a mountainside road, a police officer passes by Harry's Jeep on her motorcycle, Cheryl asleep in the passengers seat with her sketchbook doesn't notice this. A few miles down the road, Harry notices the same motorcycle has crashed but with no body to be found. As he turns his head to look, he doesn't notice the figure of a young fourteen year old girl who has walked in front of his car, causing him to swerve out of control the second he snaps back to attention. The Jeep swerves off the side of the mountain and crashes within the town. When the other half of Cheryl's soul reached the town of Silent Hill, the spiritual power turned the entire resort into a living nightmare inspired by Alessa's psyche. Cheryl is now missing within the town, now covered in a thick layer of fog and inhabited by numerous amounts of horrific creatures. Aided by the police officer from the neighbouring town, Brahms, named Cybil Bennett and accompanied by only a flashlight and a broken radio, Harry must navigate the nightmare that we know as Silent Hill. The very first enemies that you will encounter in the game, well, if you own the non-censored EU version that is, is the Grey Children. These creatures appear as small and child-like, wielding small knives which they will use in order to attack Harry. They represent Alessa's classmates who used to tease and ridicule her, obvious from the fact that you can mostly find these monsters within Midwich Elementary School. Second, we have the Puppet Nurses and Puppet Doctors, they are both relatively the same apart from being an obvious male/female counterpart of one another. They appear very humanoid apart from the rather large parasitic lump on their backs, when they see the player, they will run and attack them either through choking or slashing with a scalpel. They often attack in groups and will even gang up on the player, holding him/her in place as another slashes away at them. The nurses went on to become the most frequently used enemy in the franchise, yes, even more than Pyramid Head (but we'll get onto him next time)! Thirdly, we have the Split Head, which is actually the very first boss you encounter in the game. You encounter this grotesque creature in the boiler room of the alternate Midwich Elementary School basement (we shall explore the 'alternate' versions of areas very shortly, just know that they are not the kind of place you want to be in). The only thing that stands between you and the beast is a metallic bonfire with a corpse set ablaze, an obvious symbolic to Alessa's burning. Now, this monster is actually symbolic from one of the storybooks in which you can read in the Midwich Elementary School library which Alessa frequented, in fact, numerous monsters within the first Silent Hill game are inspired by literature. I won't list all of the symbolic meanings behind every enemy because you and I will both be here all day, I've barely covered even 10% of the symbolic nature of them, but you can get an insight into the creative notes behind them at http://www.translatedmemories.com, a site which has never failed me in the past. Not only are some of the monster monsters inspired from literature but the street names of the town are all taken from famous authors, mostly horror authors at that. I won't list them all, but you should be able to find a copy of the original Silent Hill map which lists them all. The gameplay elements also help to contribute to the horror within the game, there are certain restrictions made in order to intensify the experience and further limit the players chances of successfully surviving. One of these is a staple within the survival horror genre and something that we still see even to this day, the tank controls. Tank controls are when your character will move backwards and forwards, but you must rotate them ninety degrees in order to move left or right. This may not sound particularly limiting, but if you need to make a quick escape and your character cannot turn because of constant enemy attacks, it can be a fatal for Harry. We also have the two staple elements of the Silent Hill franchise, the flashlight and the radio. These gameplay elements give both positive and negative aspects to your experience, although the flashlight lets you see in the distance, it also lets the enemies see you much clearer, therefore there is much more chance of an attack happening. The radio will emit static whenever an enemy is nearby, obviously useful for the player as it lets you know of their presence before you can even see them, however, like the flashlight, it lets the enemies become aware of your presence as soon as you enter the area. Both items are double edged swords really, I usually play with both the flashlight and the radio switched on because unlike other survival horror titles, ammo is never really an issue within Silent Hill because of the variety of melee weapons at your disposal. Unlike Resident Evil, the melee combat in Silent Hill is a lot more developed and nine times out of ten, you are better smashing your foes skull in with a pipe rather than pumping eight handgun rounds into them. In fact, most of the time you will actually have to stomp on your enemies after you have knocked them to the ground in order to finish them off. The last gameplay aspect that is a trademark of the series is the use of the map feature. You will find the town of Silent Hill and its interiors to be huge, very impressive considering the capabilities of the PlayStaion at the time. Therefore, Team Silent has kindly scattered several maps along the areas which you will find yourself exploring. Thankfully once you check these maps they are updated in real-time (automatically) but the game itself pauses, giving yourself a breather if the tension is getting too high for you. My advice would be to seek the maps as soon as you enter a new area because it is very, very easy to get lost in this game. Luckily, they can often be found near the starting point of new areas or buildings. Running in the darkness with several creatures hot on your tail, not knowing if you're going to run into a dead end is not a fun situation to be in. Now, if you are even a little bit savvy with the series, then the name Akira Yamaoka will not exactly be an unfamiliar one, he has composed most of the soundtracks of the whole game series and even had involvement in the two film adaptations. His score is instantly recognisable with Silent Hill as being otherworldly (appropriate), haunting, macabre, beautiful, calming and chilling, all at once. What's worth noting is that Yamaoka often uses sounds rather than an actual musical score in some examples, something that began to become more common as the series progressed. These sounds are industrial and very loud, adding a layer of tension unseen in any other horror title. The soundtrack is just as frightening as the game itself. When you combine the soundtrack of the game with the dark hallways and foreboding atmosphere, it is evident why many claim this series to be the most frightening that gaming has to offer. I would recommend listening to a few of the tracks on YouTube because one really cannot describe them with justice, they are in a world of their own. I've saved the best aspect of Silent Hill for last, 'The Otherworld', something which is arguably the single most recognisable aspect about the whole Silent Hill franchise. Every area you explore has an alternate version of it, where 'The Otherworld' merges with reality, in this case, Alessa is constantly undergoing a nightmare because of her catatonic case. Once the two halves of her soul are reunited within Silent Hill, the nightmarish delusion that she had been living for the past seven years was imprinted onto reality, creating 'The Otherworld'. As Harry describes at one point; “It's being invaded by The Otherworld. A world of someone's nightmarish delusions come to life.”, essentially, it is hell on earth. Most people think of the foggy streets when they hear Silent Hill, however, when the air sirens sound in the distance, the arrival of The Otherworld is upon you. The walls and floor are replaced with rust and metallic structures, only your flashlight illuminates the way, more horrific creatures or different versions of other creatures wander around and riddles relating to Alessa's psyche prevent your escape from such a place. This is all I can really describe to you about this masterpiece of a game without you directly experiencing it yourself. I would highly recommend anyone reading this article who has not played this title and has an affinity for horror to seek a copy as soon as they can. 'Silent Hill' can be found on PSN or through websites such as Amazon or eBay. If there is absolutely no way of obtaining a copy of the game, I would suggest but horror in gaming is something much better experienced by ones self. Although it might seem dated by today standards, I assure you, the horror is still just as effective. When next we return to the foggy little town of Silent Hill, we will be covering what is considered to be the highlight of the whole series, one of the greatest games of the PS2 era, one of the biggest examples of art in gaming and my own personal favourite game of all time. Silent Hill 2.